HomeCategoryAustraliaDrunk pig runs amok in Port Hedland! Drunk pig runs amok in Port Hedland! A feral pig has been causing a ruckus in Port Hedland, Western Australia. 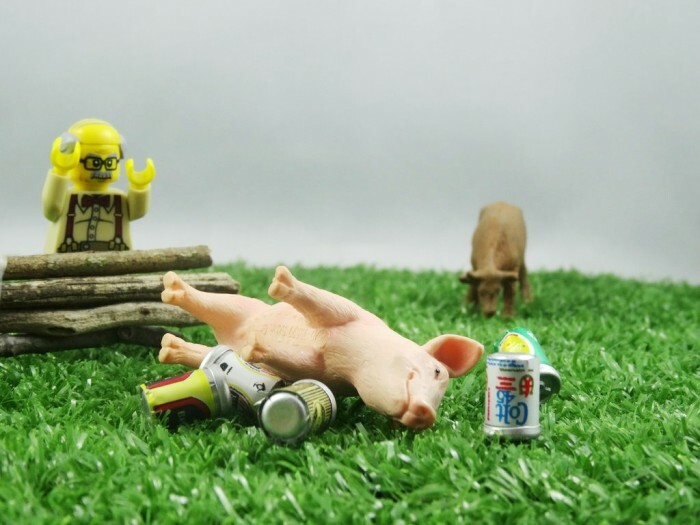 Campers awoke in the middle of the night to find the pig drinking their beer stash, claiming it got through approximately 18 cans! Others say they saw a ‘drunk pig’ being chased by a cow later in the evening, and then slumped against a tree in the morning. It looks like this little piggie had a big night!